and Fabric Banners are gaining lot of popularity over vinyl banners, especially for indoor use. Maximize your branding space at minimal cost! Fabric Banner printing should be your first choice if you are looking for a budget friendly, light and simple way to brand your space. These eye-catching banners will display your message. They are perfect for all situations. Fabric Backdrops and Banners are available in different sizes and is custom printed to your creative specifications. Need something 30 feet x 50 feet or bigger? Count on us! They are very portable, they fold to a fraction of the size. They can last years without beginning to fade. Available in about a dozen different weights and thicknesses to suit all needs and budgets. Fabric Backdrops, Flags and Banners to fit all budgets! With many Stage Backdrop options available we can guide you so you may choose what is best for you. Some clients may want cheap and cheerful, while another one may want their fabric backdrops to be heavy duty, long lasting and durable. 250 GSM is a heavy duty and durable fabric that we print all of our Tradeshow Backdrops with. It is also more opaque. 250 GSM has a little bit of stretch to it, however, it does not have the same elasticity as spandex. You can expect your 250GSM Fabric Backdrop to last years. We can print any size. The seams are barely noticeable. This fabric has a tighter grain resulting in finer quality printing. It is lightweight and durable. We use this as our economy version. We understand that many events have limited budgets. This is the perfect solution. It is made from the same fabric as our custom printed flags. We specialize in massive flags, banners, and backdrops. Contact us now now for a free consultation. These fabric banners are a real show stopper! They can be used over and over again for advertising indoors, outdoors, stage backdrops, media walls, and in-store retail store advertising. We find that Fabric absorbs the light of a camera flash rather than reflecting it. This prevents hotspots in your photos. While do print a lot of vinyl banners, we feel that fabric is superior and more up to date. Vinyl is excellent for outdoor applications whereas fabric is good for indoor and temporary outdoor. 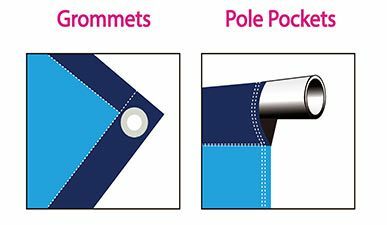 Typically form from Polyester, they are printable with a dye sublimation print process which can be single or double-side. This process ensures the ink is dyed deep into the fabric rather than printed on it. They will never crack or peel. This will ensure vibrant colors will last a very long time without fading. 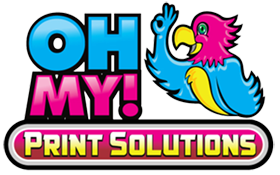 Your graphics are first printed on a special heat transfer paper and then transferred onto the fabric with another machine. Low Prices, we won’t be beaten! Free Shipping to Seattle, San Francisco, Los Angeles, San Diego, Las Vegas, Reno, Texas, Salt Lake City, Houston, Austin, Kansas, Ohio, Miami, Atlanta, New York, Washington DC, Boston, Chicago, Detroit and more. Get Free Shipping to Canada to places such as Vancouver, Calgary, Edmonton, Victoria, Kelowna, Regina, Halifax, Montreal, Toronto, London, and more! Free Shipping worldwide to places such as UK, Belgium, Netherlands, Norway, Sweden, Finland, Spain, France, Germany, Dubai, Mexico, Malaysia, Japan, Singapore, Hong Kong and more!